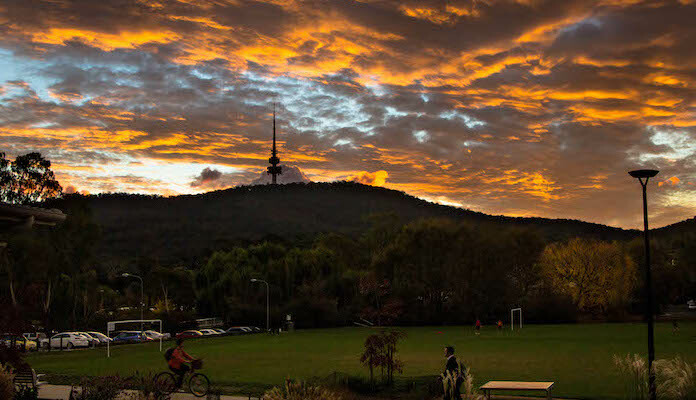 Black Mountain is home to Telstra Tower, the decorative communications tower which locals use to get their bearings from anywhere across the city. There are plenty of running trails between the Black Mountain Reserve and neighboring Aranda Bushland Nature Reserve, but locals say the nicest way to come up the mountain is via the Australian National Botanic Gardens (sometimes known as the “Flower to Tower” route). From the starting point on Clunies Ross Street, it’s about 3km (2 miles) up to the tower, where you can stop and visit the lookout and the cafe. However, you might want to save the part for last, looping out the west side towards Aranda before swinging back to tackle the steep hill. All in all, the two for one parks route can covers about 15 miles, but even the short version comes complete with stunning views of the city below.